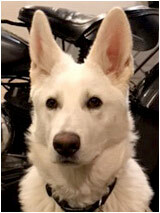 Meet Harlow, a 5 month old White Shepard. In addition to his new job as Waterloo mascot, Harlow is in charge of keeping an eye on Josh and Mel’s twin boys, a role which apparently includes the occasional swiping of a pacifier. Good dog, Harlow. 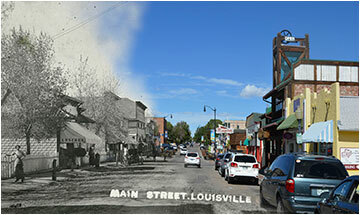 This well-preserved house was constructed around 1906 and was featured on an early 20th century Louisville postcard. Raffaele Sotteli was a cement contractor and also the town constable. 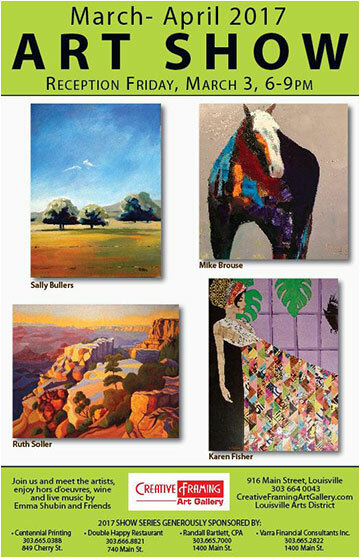 Talented national and local artists showcase their work at the galleries and stores Downtown. Enjoy an evening of good art, good food and drink, and good friends. Every Friday from 6:00 – 9:00 pm. Creative Framing kicks off the 2017 season of art shows featuring returning artists Mike Brouse and Karen Fisher as well as new artists Ruth Soller and Sally Bullers. Drop by the gallery and peruse the work of artists in residence, jewelry, glass art and more and enjoy some First Friday refreshments. Interested in Louisville stories? PaleoWest Archaeology will share its research on Louisville’s mining, agricultural, commercial and residential history and gather more information from the community about their favorite “Stories in Places.” As a part of First Friday, the event will also include snacks, kids activities, and a photo booth! For more information contact Lauren Trice, laurent@louisvilleco.gov or 303-335-4594. Restorative yoga provides a soothing environment with the goal of total relaxation. Join Farrah in this 2-hour workshop where she will assist you into tranquil restorative poses, teach calming breathing and visualization techniques, and lead you into blissful guided meditation. The cost is $30 and the class is limited to 18 spots so register soon! After experiencing continual growth in downtown Louisville for the last 5 years, independent insurance agency Bolder Insurance has opened its second office in Boulder at 2575 Pearl Street. The office staff will work in tandem with the Louisville office to offer the same comprehensive services in personal and business coverage. 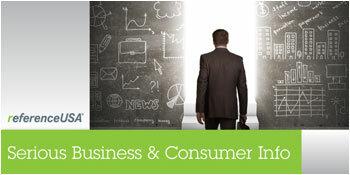 Visit www.bolderinsurance.com for more information. The Flatiron Youth Chorale, joined by instrumentalists and soloists, will perform in Louisville Art Association’s Youth Spring Art Show. Enjoy art by local artists, local music and delicious refreshments. 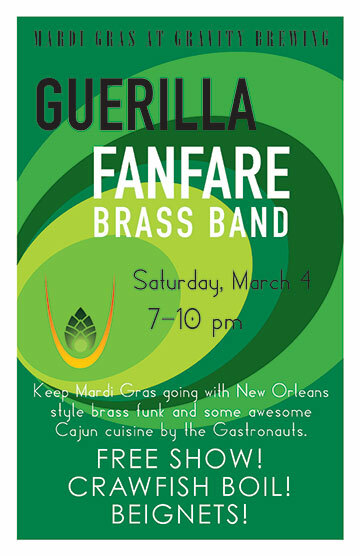 Celebrate Mardi Gras with Guerrilla Fanfare Brass Band and its raucous, bumpin’ brassy New Orleans style funk! Plus chow down on the sumptuous crawfish boil and beignets from Gastronauts @ Gravity Brewing. The concert is free so grab your beads and get down there y’all! 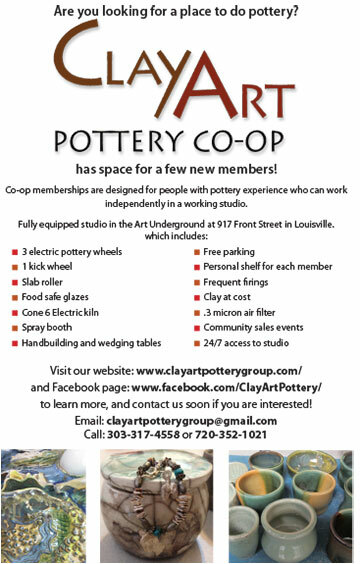 ClayArt announces it has space for a few new members in its fully equipped studio in the Art Underground. Memberships are designed for people with pottery experience who can work independently in a working studio. Email clayartpotterygroup@gmail.com or call 303-317-4558 if you are interested in joining. 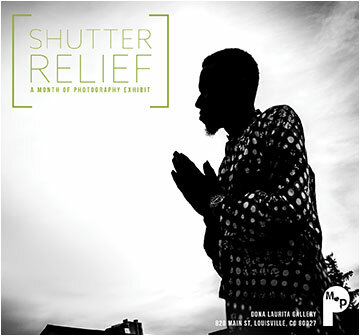 The Gallery is holding a special exhibition during the Month of Photography (MoP): Shutter Relief: Creating Social Awareness Through the Lens. Special events will be held throughout March. Visit the website for more information. 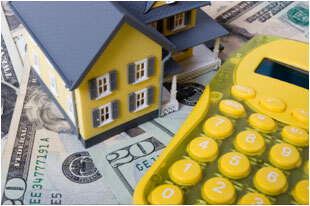 What’s happening in the Northern Colorado real estate market? Learn what lenders look for to give an approval, what factors to consider when refinancing, and the real estate market trends in your area. Join this ’brown bag’ presentation and learn about the power of ReferenceUSA, a free resource available to library card holders. This database will help you find sales leads; conduct market research; target and reach potential customers; build a business plan, and study market trends. The 2017 First Friday Art Walk series will focus on lesser-known aspects of Louisville history and culture, with a different topic each month. This month features discussion with members of a local amateur radio club to learn more about this interesting part of Boulder County history.